Remembering to clean dryer vents isn’t really a priority to many people. Maybe having your dryer vents has never been a though that even occurred to you. Maybe you didn’t know that dryers are the number one household appliance to cause home fires in the United States yearly. 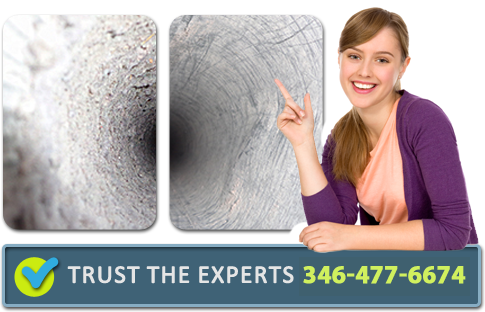 Lint is one of the main reasons that cause dryers to malfunction or even cause a home fire. Only 40% of lint caused by clothing is trapped by lint trappers. The other 60% of lint either travels outside of the home or lands inside of the dryer vent. With a combination of hot air and clustering of the lint, air flow will in turn be restricted and can cause exhaust gases to build up. Your dryer, at this point, may breakdown, or even more serious, cause a fire. The responsible thing to do is to protect you and your loved ones from a dangerous situation by having Houston Tile and Grout Cleaners clean out your dryer vents. For every cycle that your dryer goes through, you are spending roughly about $.70 which is added onto your electric bill. Imagine how much money you save when your dryer doesn’t have to work as hard to dry your clothes. This is why it is especially important to recruit the help and skills of Houston Tile and Grout Cleaners. You should have your dryer cleaned at least once per year. However, if you use your dryer more than often you should have it cleaned more regularly. Also, checking for blockage should be done at least once every six months. 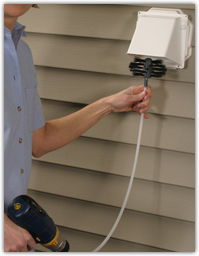 There are signs to look out for when it comes time for your dryer vents to be professionally cleaned. Are your clothes taking longer than usual to dry? Do you notice a burning smell? Is your dryer getting extremely hot? These are all signs that you need to have Houston Tile and Grout Cleaners out to your location to inspect and clean out those dryer vents. Give us a call today and we will be more than happy to assist you with ensuring your safety and longevity of your dryer. Fill The Form Bellow And We Will Call You Back Shortely!